Before we get into the fun stuff like dresses, cakes and flowers, we want to take a moment to talk a little business. 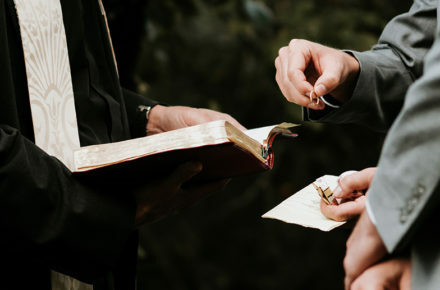 Every time you hire someone to do something for your wedding, get your agreement in writing. Go back and re-read that sentence again. Do not be intimidated by contracts. They are legal agreements put in place to explicitly state the terms and conditions of the work to be done, and protect both you and the vendor. Until you sign a contract and put down a deposit, you have no guarantee that vendors will hold the date of your wedding. After thoroughly reading through the contract the vendor shares with you, do not be afraid to negotiate. If your requests are reasonable, and the vendor won’t agree to them, do not hesitate to look elsewhere. Do not sign the contract unless you are 100 percent comfortable with it, and with the vendor. Then make sure both you and the vendor each have a signed copy for your records. Once signed, these contracts are legally binding documents. If your vendors fail to meet the terms of the contract, you could take them to court. But the same is true for the vendor. If you don’t hold up your end of the deal, they could take you to court as well. 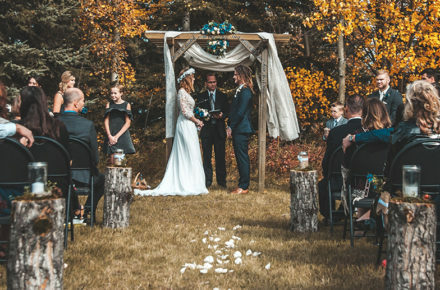 What Type of Ceremony is Right for You?